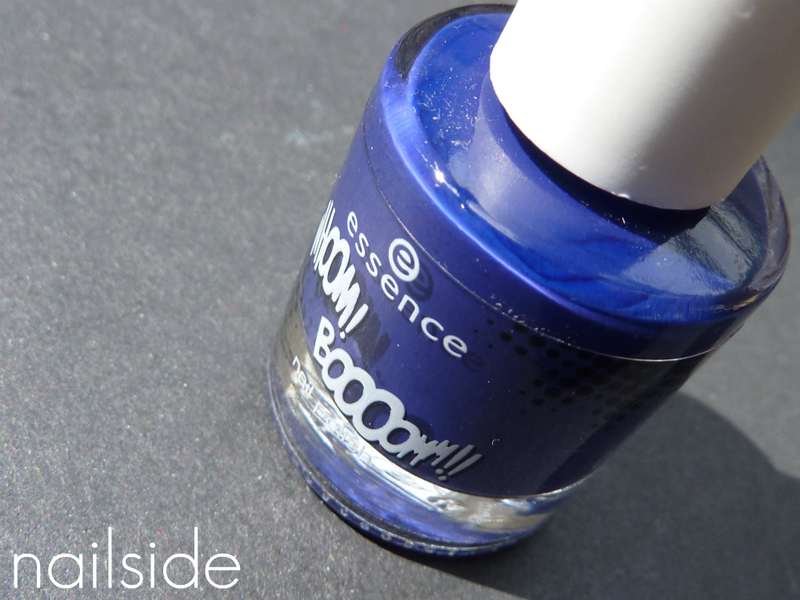 Hi everyone, for today's post I have Chacalaca to show you from Essence's limited collection Whoom Boooom. 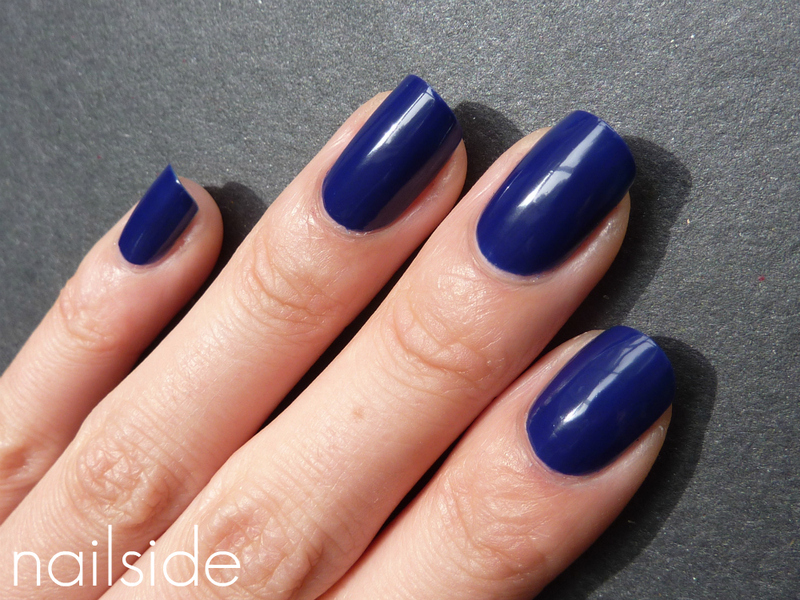 Chacalaca is a rich and dark but vibrant blurple, kind of like the color of ink. The polish looks darker on the nails than in the bottle, but that doesn't make it less pretty. It's a serious color but because it's so vibrant it's not too serious at the same time, if that makes any sense. The formula was nice and smooth and covered perfectly in two coats. If Chacalaca looks familiar to you it's probabaly because it's very similar to Essence Just Rock it (which I used here and here). Just Rock It has a tiny bit more blue, but if you wouldn't hold the bottles next to eachother I'd say they're dupes. So if you missed out on Chacalaca you can always get Just Rock It, which is part of the permanent Colour&Go collection. What do you think of today's polish? I love blue polish! :) so pretty! That's lovely! The hint of purple really sets it apart. I didn't buy this one but I have Just rock it, and they really look pretty similar :) Anyway, I think this is a really beautiful colour, and I love to wear it! i WISH i could find somewhere to buy essence. you make me want ALL the colors, espesh chuck and blair! ps, youre on my blogroll - youre sort of my blog crush. Ooooh, I love it. Blue polishes are my weakness. What a rich & gorgeous color!